Spiders of all types and sizes can enter your home, leaving you no option but to kill them. Most spiders despise hot weather, which is why they find houses appealing in spring, summer and early fall. Although you may want to kill every spider that enters your home, there are some varieties that are beneficial. Poisonous spiders should be killed immediately and carefully. Learn which spiders are poisonous and dangerous on contact. Insecticides work well, killing spiders on contact. If you have small children or pets in your home it is better to use an eco-friendly insecticide made with natural ingredients. When using an insecticide remember to also treat areas that spiders frequent on a regular basis. If you find spiders invading your yard or garden, try using several ladybug beetles in these areas. Ladybug beetles eat up to 50 insects a day, spiders included. 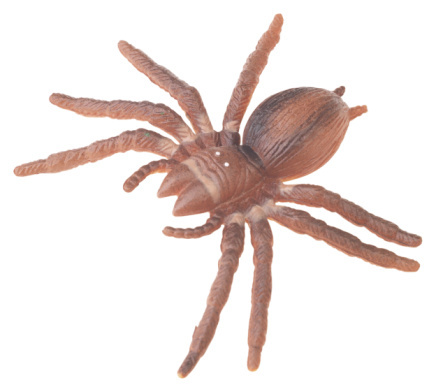 Let them roam freely in your yard when spiders are present. Keep wood and cardboard boxes, which attract spiders, as far away from your house as possible. Eucalyptus is a natural spider repellent. Spread eucalyptus leaves throughout your home or set out a few eucalyptus trees in pots in your yard. Several other ingredients also kill spiders on contact. Fill a spray bottle with vinegar, rubbing alcohol or a cleaning agent and use it to kill spiders. Spray spiders from a distance of about 10 inches until they stop moving. Non-poisonous spiders don't have to be killed, but poisonous spiders should be killed immediately. The brown recluse spider is 1/4 inch to 1/2 inch long and is aggressive; its venom can cause tissue damage and necrosis. Black widow venom can be fatal, especially to children and the elderly. Black widows are a shiny black with a red hourglass shape on their bellies. Hobo spiders are brown spiders with chevron-shaped markings. The bite of a hobo spider can cause headaches, nausea, dizziness, temporary memory loss and vision problems. Mouse spiders are black and burrow deep into the ground; they are venomous but not poisonous. Their venom can cause nausea and weakness. Non-poisonous spiders include black house spiders, wolf spiders and trap-door spiders. Non-poisonous orb-weaving spiders, which are golden brown, will trap flying insects in your home.